Introduction: The New Year is upon us and to kick things off in 4014 we head to Las Vegas, Nevada for the 2014 Big Rock Sports Dealer Show where tackle manufacturers meet directly with dealers to showcase their newest products. We attended the show this year to see if we could find out more about some of the new offerings for the coming season. 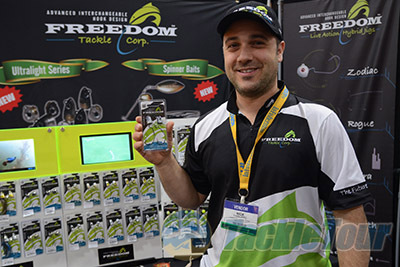 Freedom Tackle: This company has been making waves since it first unveiled products at ICAST. 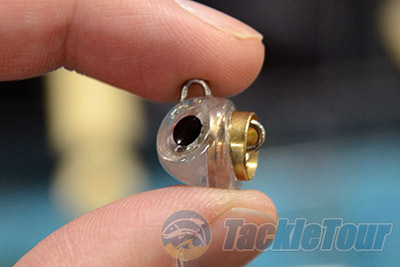 The design behind their jigs is to create "live action" via a free pivoting jighead and hook design. 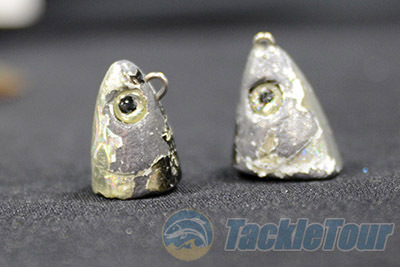 The jigheads have a connection that allows anglers to use any hook they prefer and will swing freely behind the weighted head. 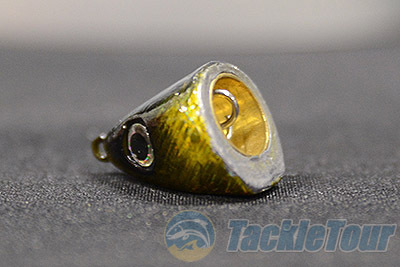 This unique design has numerous benefits including the ability to present baits with an unrestricted action, reducing thrown hooks as the fish cannot use the jig head as leverage and the ability to pre-bait your favorite hooks for an instant change up. 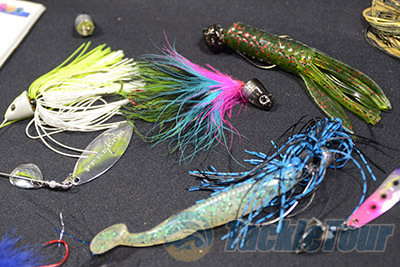 This ability to tailor your jig to target each species of fish and all fishing conditions provides anglers with the "freedom" to really get creative and quickly adapt for maximum effectiveness. Freedom Tackle offers a wide variety of baits using this "advanced interchangeable hook design" and they all are designed for various applications. The Stealth head for example features a streamlined design which makes it a great addition to swimbaits, punch rigs, trolling applications and even vertical jigging. 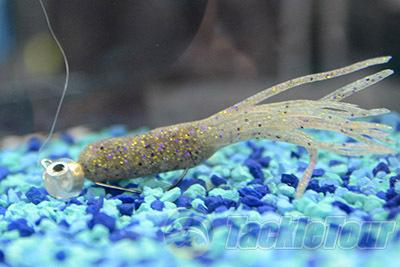 These lures also feature a holographic finish which can be used to match your bait perfectly. The company has deployed these lures to many guides and they showed me two heads that have been used to catch over a hundred fish each demonstrating that fish not only keyed in on the heads but they were able to last through a complete season of punishment and still remain effective. The company extends this design through a variety of jigheads, complete hybrid jig packs and even a spinnerbait. The baits are reasonably priced and range from $6.49 to $8.99 per kit depending on style and size and are available now at Tackle Warehouse.